The Somers Smiles Dental team is here to take care of you from the moment you schedule your appointment to the treatment room and everything in between. Behind every great dentist’s office is a team of hard-working and highly skilled individuals whose passions include caring for your teeth and gums. Our team so enjoys fostering the smiles of their Somers community and can’t wait to get to know you and your family. For an elevated experience filled with friendly smiles and dental excellence, contact the Somers Smiles team today. Visit this Somers dental team for a superb smile! Judie is our Operational Manager but wears many hats here at Somers Smiles. She is the first voice you will hear when you call and the first face you will see when you arrive. You can find her giving tours of the office, scheduling appointments, and happily bouncing the newest addition to the Somers Smiles family—baby Frankie—on her lap. She is the woman to go to for all insurance and billing inquiries. In her personal life, Judie is the proud mother to three children: Ashley, Kelsey, and Ryan. She has two dogs: Johnny—a nine-year-old black lab rescue—and Pinky—a two-year-old pitbull-mix rescue. She grew up in Danbury, CT, and graduated from Florida State University. Judie's hobbies include hiking, exercising, all things outdoors, and being a mom. Her favorite movie is The Sound of Music, and cookies are her favorite dessert. Judie's favorite vacation spot is Aruba, and if she could travel anywhere in the world, it would be Ireland. Her favorite part of her job is—hands down—patient interaction. She loves taking care of everyone who walks through our doors and treating them like they’re part of the family. Once you meet her, you’ll see what we mean! 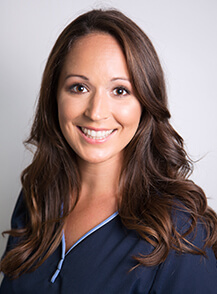 Beth is our full-time hygienist here at Somers Smiles. She has been practicing hygiene for well over 26 years. 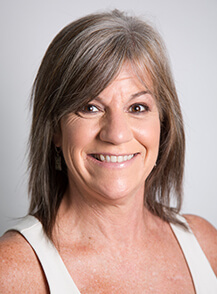 She retired in 2013 after working for 17 years in Rye and, in 2015, decided she loved practicing dental hygiene so much that she began working again for Somers Smiles. She is laser and CPR certified. Beth keeps the hygiene department running smoothly and is even the sole person responsible for keeping all of the plants alive here at the office! In her personal life, Beth has been married to her husband, Michael, for 14 years. Together, they have a ten-year-old boy named Robert. They are kept very busy by their three dogs: Lambo, Skyler, and Daisy. Beth grew up in Yonkers and now resides here in Somers. She went to Maria Regina High School and graduated from the University of Bridgeport with a degree in dental hygiene. Beth’s hobbies include snowboarding, golfing, and gardening. Her favorite movie is Gone with the Wind, and her favorite dessert is apple pie. Her go-to vacation spot is LBI, and if she could travel anywhere, it would be Alaska. Beth’s favorite part of her job is her coworkers and how she truly loves what she does for a living. Meghan is Dr. Ferranti’s right-hand woman! You can find her assisting Dr. Ferranti in making your visit as comfortable as possible and ensuring that the back office flows seamlessly. 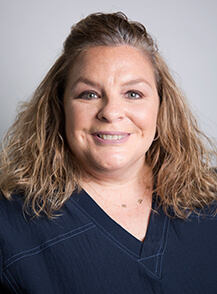 She graduated from the Ninth District dental assisting program, and Dr. Ferranti prefers to never work without her! She is a great conversationalist and has a knack for remembering people from just one interaction. In her personal life, Meghan recently bought a house in Brewster and got married in May of 2018. Together, Meghan and her husband—John—share a three-year-old black lab/border collie mix named Jasper. She was born in the Bronx and graduated from Somers High School in 2010. Meghan’s hobbies include hiking, spending time with her family, trying new restaurants, and cooking any food you can think of (even though she herself is a vegetarian). Her favorite movie is Overboard, and her favorite dessert is ice cream with—of course—extra sprinkles. Her favorite place to vacation is Puerto Rico, and if she could travel anywhere, it would be to Europe. Her favorite part of her job is the patients and her coworkers. A simple conversation with her will put you at ease. 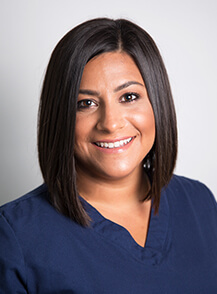 Jackie is our part-time hygienist and has been practicing dental hygiene for over ten years. She is certified in laser, CPR, local anesthesia, and nitrous oxide. She enjoys caring for children and has a knack for making them smile and laugh. You will find her in the back of the office manning the Cavity Free Club and making slime for the little ones. You may also see her at the front desk working on marketing, social media, or anything crafty around the office! If you see something cute, it was probably hand-made by Jackie! In her personal life, Jackie resides in Brewster with her nine-year-old daughter, Jolie, and a three-year-old Shih-Tzu named Tilly. She grew up here in Somers and went to North Salem High School. She graduated from the University of New Haven with her bachelors in dental hygiene. Jackie’s hobbies include baking, crafting, spending time with family, and being a mom. Her favorite movie is Willy Wonka and the Chocolate Factory, and her favorite dessert is oatmeal chocolate chip cookies. Her favorite place to vacation is Puerto Rico, and if she could travel anywhere, it would be Spain. Her favorite part of her job is building relationships with patients and educating them on how to maintain their overall health. After all, the mouth and body are truly connected!